Interested in learning more about the La Crosse Technology EA-3010 Handheld Anemometer before you buy? Check out our review below to find out how this anemometer works, what its most notable features are, and who should buy it. Feel free to leave your own review of this product in the comments section below. The term anemometer is from the Greek word anemos, which means wind. 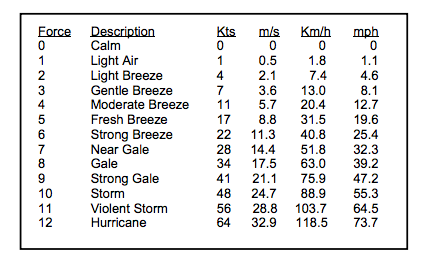 This anemometer measures wind speed using the Beaufort scale, shown below. The Beaufort scale is a system that estimates wind force based on the visible effects of the wind on the physical environment. The EA-3010 Handheld Anemometer also measures wind chill and temperature information. Wind chill provides an indication of how cold it feels given the combined effects of the actual air temperature and the wind speed. This is automatically calculated and comes in handy when preparing for outdoor activities in cold weather. 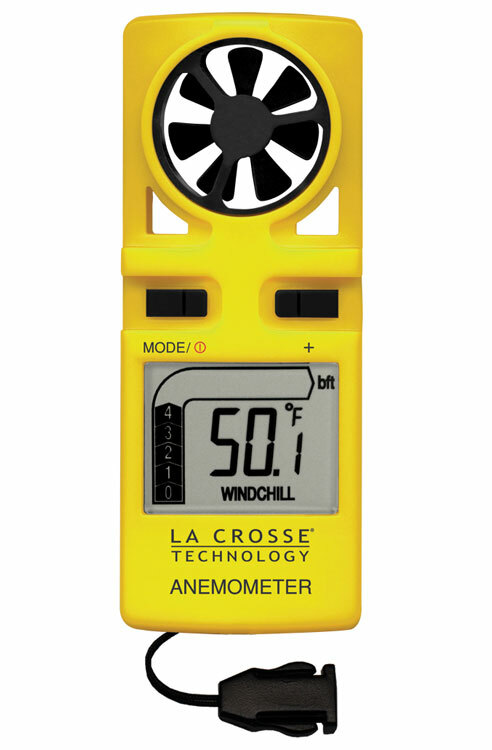 I love that this anemometer is compact and portable – it fits perfectly in my pocket or bag. Plus, the energy-saving battery automatically switches the device off if no buttons are pressed after 34 minutes. You won’t have to worry about replacing the battery on a regular basis, as the CR2032 button cell battery will last approximately one year. Best of all? It’s easy to use! Since the LCD screen visually displays the wind speed as a number (0-12) based on the Beaufort scale, there’s no calculating involved. The EA-3010 Handheld Anemometer from La Crosse Technology is the perfect pocket-sized accessory for outdoor enthusiasts of all ages. It’s a great device to have when planning for outdoor activities. Also makes a great gift item! Rachel is part of the Klockit committee responsible for finding and researching new products. She has helped review many items in order to understand what makes a great product for all of our Klockit customers. I am a frequent camper. I was looking for a weather unit that fits my need. I think this is just the right one. Thanks!